Michael Kennedy McIntyre, a graduate of the University of North Carolina School of Law, established his law firm in 1985, which is now known as Michael Kennedy McIntyre & Associates. He and his staff work toward the release of their incarcerated clients through the effective use of all post-conviction remedies. He and his staff also work toward eliminating probationary restrictions placed on clients who are no longer incarcerated. Based in Atlanta, Georgia, McIntyre and Associates focuses exclusively in the field of post-conviction remedies. The attorneys at McIntyre & Associates have experience exploring post-conviction options for convictions throughout the state of Georgia. Michael K. McIntyre studied history at the University of North Carolina at Chapel Hill, achieving a Bachelor of Arts degree, before completing the university’s Juris Doctor program and earning a law degree. 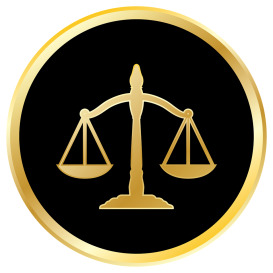 When he is not representing clients or overseeing activities at his law firm, Mr. McIntyre works with the Georgia Association of Criminal Defense Lawyers. In 2008 he received the organization’s President’s Award and the President's Commitment to GACDL Award in 2016.